The summer holidays are with us and as ever, summer months bring plenty of social opportunities where you can choose a style to suit the event, but also make a personal fashion statement. The bow tie is the ideal outfit accompaniment to achieve a unique look, whether you are going for an informal look complementing smart jeans and a crisp shirt, or going for the more formal look in a sharp suit. 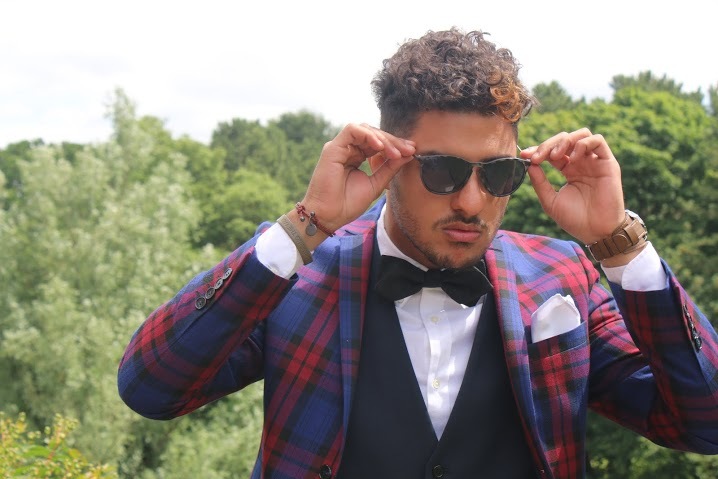 Bow ties are great for summer styles, as they have a natural funkiness that can lift an otherwise straight forward outfit and can go with a jacketless look easily, so you can pull off a really cool look in short shirt sleeves and stay cool, literally. So what kind of events can really rock with a bow tie? We have regular customers who pretty much wear our ties for all occasions, from everyday to going out. Most however, are buying a bow tie for a certain special event, such as a prom, a wedding or to wear to a more formal event. We even have customers regularly wearing for festivals and rock concerts! What we do know at BTBD, is that the trend for wearing bow ties is increasing, and that’s globally. But the difference these days is that wearers are demanding higher quality and real luxury, that’s exactly what we are striving to provide. Purchasers of our range of hand made bow ties have given us feedback that they would never go back to a cheap mass produced tie again after experiencing our ties, sure, cheap bow ties do the job on a basic level, but what’s the point in paying for a quality shirt, shoes and possibly a suit or jacket and then skimping on the bow tie? With a BTBD bow tie, you can tell the difference as soon as you receive and open our luxurious packaging, you can see the quality of our bow ties a mile away, and the best bit, everyone else around you will aswell. So we believe if you are thinking of buying a bow tie, it’s worth going for the best. With proper care, your BTBD bow tie will last you a lifetime. Worth the investment and who knows, it might be the start of a collection for you! This entry was posted by Phil in Uncategorized.